In 1998, I completed a Studio Engineering course at Red Tape Studios in Sheffield and have been writing and recording since then. 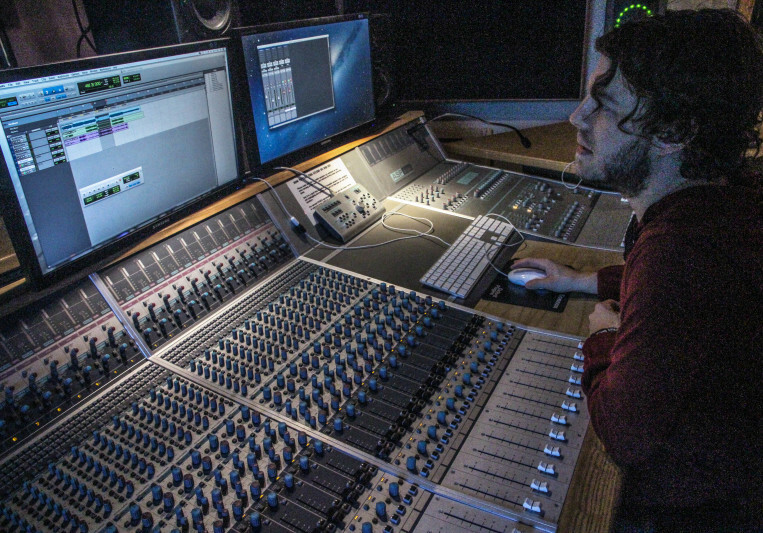 In 2014, I attended Point Blank Music School in London studying the Mixing and Mastering Award, although I have been producing since 2008. 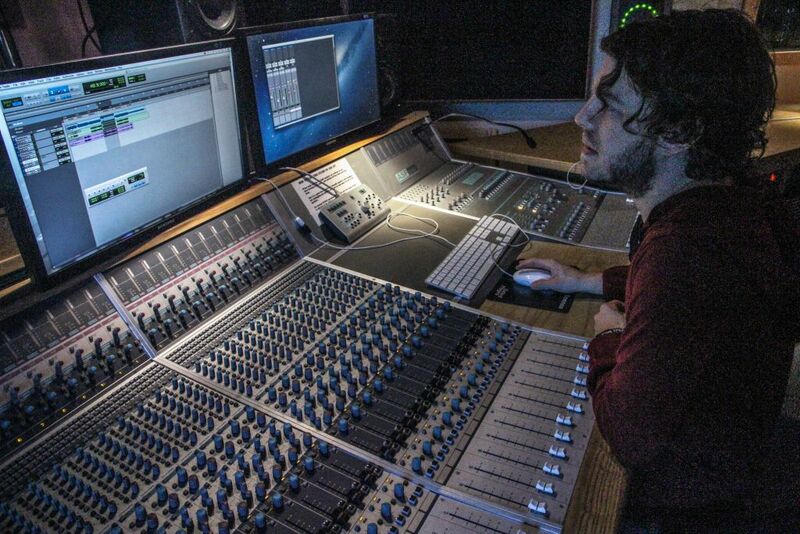 Since last Summer, I have been working in a recording studio in London where I started as a runner and I am now a Music Producer there running my own sessions from the initial consultation through to mastering the final product. My most recent work has been more focused on the production side (which I love and thoroughly enjoy) although at heart, I am a songwriter and vocalist so I will always says that this is where my strengths lie. In addition to these though, I have also worked on recording/editing radio adverts, audio books and sound bites for Apps and websites. I also work intermittently as a specialist IT Consultant (SAP), usually contracting for a few months at a time and then taking time off to work solely in music. Web Sheldon did great vocal work for my Dance-Pop track "Don't Walk Out On Me". I recommend him. Web Sheldon is a great vocal and I strongly suggest to work with him. Reliable and professional, I personally worked with him many times, remixed two track of him called "Spirit like you" and "Activated" which is about to be released (may 2017). Also there are further project to be released with him. A: I wrote and sang 2 x top line vocals for Madrid producer Nelue. He placed one of the songs as the first track on his album. I travelled to Madrid for the album launch and sang the songs I'd worked on, plus the other songs from his album that had a male singer. It was a really inspiring experience. A: I usually have a couple of projects to mix and master each week so these come and go regularly. A longer term project for 2017, is a solo album for myself. Most of the backing for the songs is complete, my next job is recording the vocals, sending out the tracks to include parts for my guest rappers, then mixing and mastering. A: I have a lot of appreciation for analogue but I primarily work in digital at the moment as that is the gear that I have available to me all the time. A: I listen, and I care. A: Firstly, being able to work with other musicians - it's a true passion that we all share. Not everybody in life is lucky enough to even have a passion - but we are working with ours right now, or we wouldn't be on this website. Secondly, I love the transformation. Whether it's writing/singing a vocal or producing a track, I love starting with the song and being able to transform it to another level. A: What FX can you apply to give my songs an edge? I talk about basic elements of mixing such as EQ-ing (to give the mix more space or coherence) or Compression (to bring out certain elements, or 'gel' elements together or to create a more cohesive sound) or use of reverb (depending on the genre and what the client is looking for). Then I'd talk about more creative aspects of mixing such as using delays, overdrives, chorus types, gates and give some examples of how these techniques have been used in songs they might already know. A: I think it's a common belief that almost anything can be fixed in the production process. The truth is that the better the recording is, the better the overall production and outcome will be. Not everyone has access to record professionally though and that's ok - I will always do my best to work with what I have been given. A: I work as a Producer in a private recording studio and I also work as an SAP IT Consultant. I have been writing music for about 20 years and I have been producing for 5 years. A: I usually work on Electronic, Trip Hop, R&B, Hip Hop or acoustic singer/songwriters although in the past I have worked with a lot of rock and indie bands too (I only had space for 7 genres on my profile though). A: Although I work mostly in production, I think my strongest skill is in writing a catchy vocal. A: For vocal writing, I write one example of a verse/bridge/chorus and send it back to the client to review the lyrics, melody and style of vocal. They send feedback and I continue working based on their response. For producing, if it is a straight forward mix (ie. no writing/creative aspects involved) I will complete the mix-down and master and send it through. The cost will depend on the number of tracks that need mixing. A: Are there any reference songs or artists that you feel match the genre/vibe of your song? When is your deadline for the track to be complete? For writing only, do you have any preference of subject matter for the lyrics? A: Find someone who appreciates similar music to yourself. A: Providing it had a generator with electricity... My Neumann u87 microphone has been one of the best buys I've ever made, my portable vocal booth, my laptop (with Ableton and Logic) and then 2 x different sets of speakers to compare mix-downs. A: Quirky enough to be different, grounded enough to be accessible. A: I would love to work with Björk. I am fascinated by her ability to make something essentially experimental into something accessible. A: Never underestimate the importance of Audio FX Chains or the order in which you place every plug in. A: Salaam Remi, Arca, Timbaland, Björk. A: The most common work I do is mixing and mastering although I also write and sing top-line vocals and make remixes.